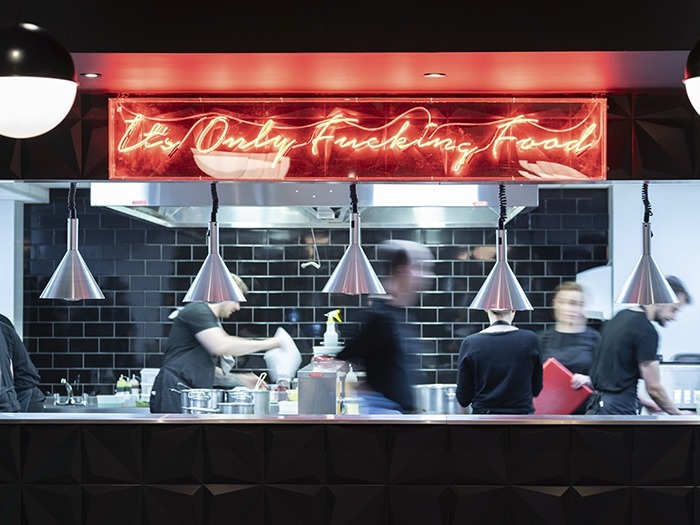 Faber Design’s latest project, Nocturnal Animals on Bennetts Hill, Birmingham, shatters all preconceptions about fine-dining restaurant design. This restaurant was conceived by acclaimed chef Alex Claridge who wanted the interior design to reflect the food. Claridge conceived the menu whilst listening to the ‘All Out 80s’ Spotify playlist and instructed the design team at Faber to do the same whilst they formulated ideas for the interior. 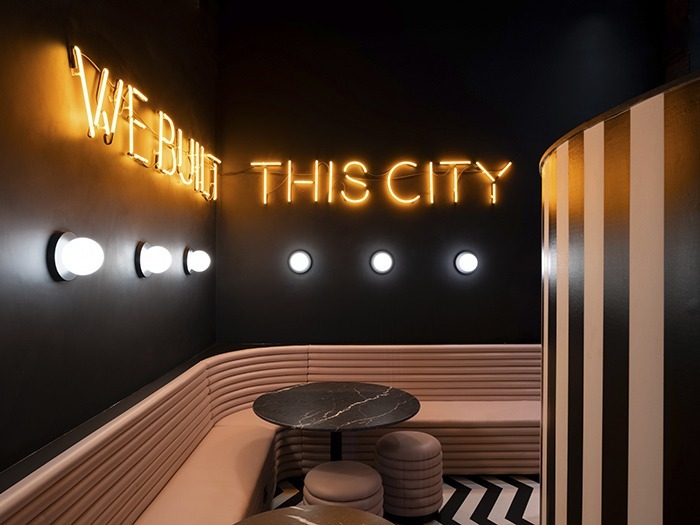 The result is an interior filled with slick monochrome, vividly colourful graphic prints, postmodernist furniture silhouettes, David Lynch-esque passageways and kitsch neon signage. The main bar area has a dramatic, fully illuminated cocktail bar that towers over the ground floor level, and a gantry which provides access to a ‘top-shelf’ collection of exclusive spirits. 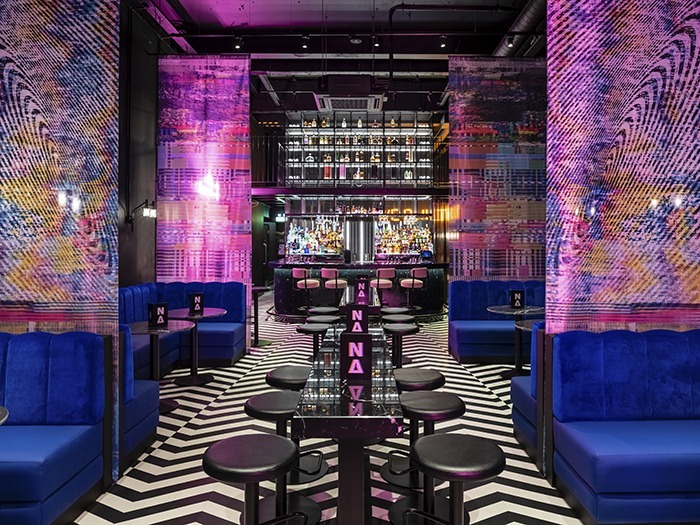 The bartender’s table is deliberately separated from the rest of the bar and gives guests an opportunity to watch Nocturnal Animals’ talented mixology team do their thing close up. 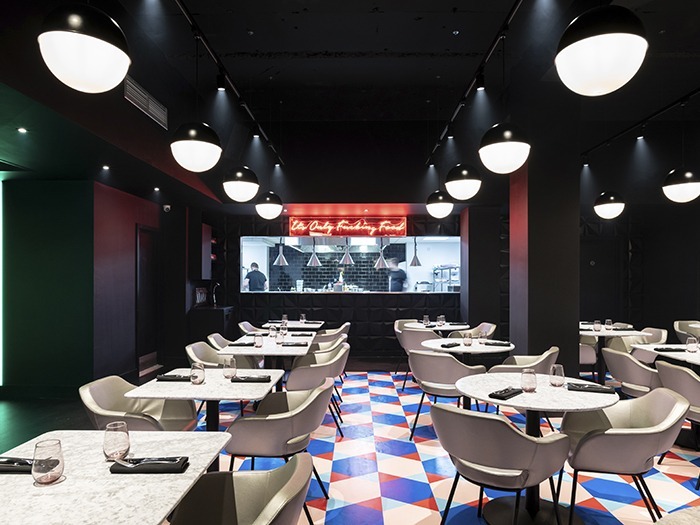 The restaurant level has kaleidoscopic geometric flooring, black walls, black voile curtains, white metallic chairs, white metallic tables and simple globe lighting. The bathrooms have multi-coloured block tiling and almost mathematical clean lines accessorised with more neon lighting.